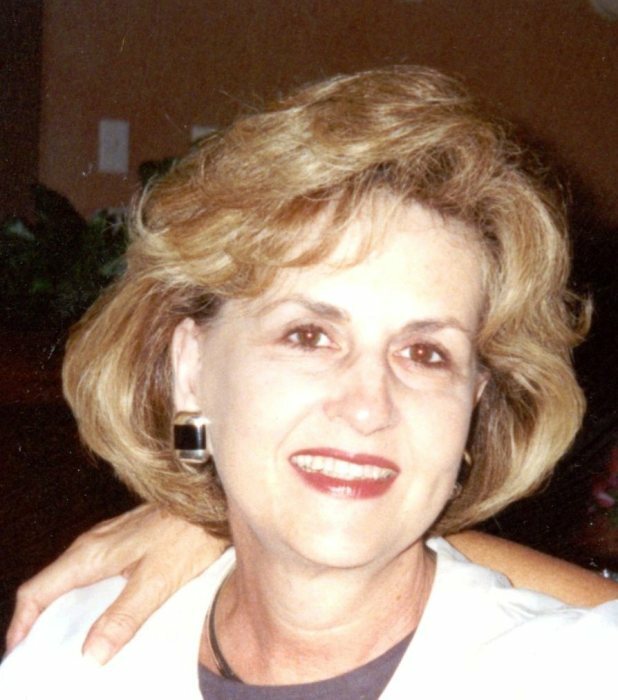 Obituary for Linda Lewis | Sullivan's Highland Funeral Service & Crematory, Inc.
After a lengthy battle with that beast, Alzheimer’s Disease, Linda Lee Hardy Lewis succumbed to it on September 1, 2018. A breast cancer survivor at age 33, it is a cruel irony that it was Alzheimer’s Disease that she feared the most. Linda was born on March 5, 1941 in Richmond, VA, to Kathryn Harris Hardy and Edward Ira Hardy. She attended Thomas Jefferson High School in Richmond, VA, Averett College in Danville, VA and the University of North Carolina in Chapel Hill, NC. She met her husband, Richard Mullington Lewis, Jr. at UNC on the steps of Wilson Library, a place seldom visited again. She was a high spirited woman of strong convictions and a leader in many community endeavors. One of her most cherished causes revolved around the elderly in particular and those challenged in other ways. While at Carolina, she volunteered at Dix Hill. As her service project for the Junior League, she visited nursing homes in southeast Fayetteville. In 1978, she was appointed to the Cumberland County Mental Health Board and was a Director and Chairman during her eight years of participation there and in 1981, Linda was named Volunteer of the Year. She was a Director on the Cumberland County American Red Cross Board as well as Secretary to the Board and Chairman of Volunteers for three years. She served as Vice-Chairman for the Cumberland County Department of Social Services. She was a member of the Executive Board for the Cumberland County American Cancer Society and was Chairman of the Reach to Recovery Program for a four county area for 13 years. She also was on the Altar Guild at St. John’s Episcopal Church in addition to singing in the choir for 13 years and served as a Historical Tour guide to teach visitors the rich history of that church. Later in life, Linda became very passionate in the area of animal rescue and was among a group of people who worked tirelessly but successfully to breathe life back into what is today known as Fayetteville Animal Protection Society, a no-kill shelter. During better than a dozen years on that board, participating in just about every named position, she and her fabulous group of workers got it back on its feet and it does a magnificent job in finding forever homes for puppy dogs and kitty cats today. In her husband’s opinion, her legacy should be in the raising of their four sons whom she idolized, but such a fondness was doubted at times by the four boys. They were guided by the code that the teacher’s side of the story was presumed correct until proven wrong. She was a disciplinarian and expected her sons to follow the lessons taught at home. For the most part, they did. She claimed her mother’s intuition gave her the edge when she expected something just didn’t sound right. Most of the time she was right. That claim was disputed by the boys in later years as they laughingly related to her activities that they got away with undetected. Nevertheless, she had a pretty good record which translated into respectful, polite, loving sons who are now the fathers of seven wonderful children, six beautiful daughters and one great son. Linda is survived by her husband of 55 years, Richard M. Lewis, Jr., and those four sons, Richard M. Lewis, III, (Mikia) of Austin, TX; E. Hardy Lewis (Cecilie G.) of Raleigh; David A. Lewis (Rachel B.) of Raleigh; and Frank H. Lewis (Jane B.) of Wilmington; Six granddaughters: Neil, Jane, Kate, Sydney, Clare and Helen, and a single grandson, Frank; Linda’s sister, Kathryn H. Welsh (William E.) Akron, OH; and brother, Edward I. Hardy, Jr. (Ellen S.) Richmond, VA; and many nieces and nephews. A memorial service will be held at St. John' s Episcopal Church on Thursday, September 6, 2018 at 2:00 p.m. The family will receive friends following the service at the Kyle House. Linda’s favorite charity was Fayetteville Animal Protection Society, 3927 Bragg, Boulevard, Fayetteville, NC 28303. If anyone feels so inclined to contribute something in Linda’s memory, she would be so pleased if you did choose FAPS.